An ideal gift for any touring cyclist. 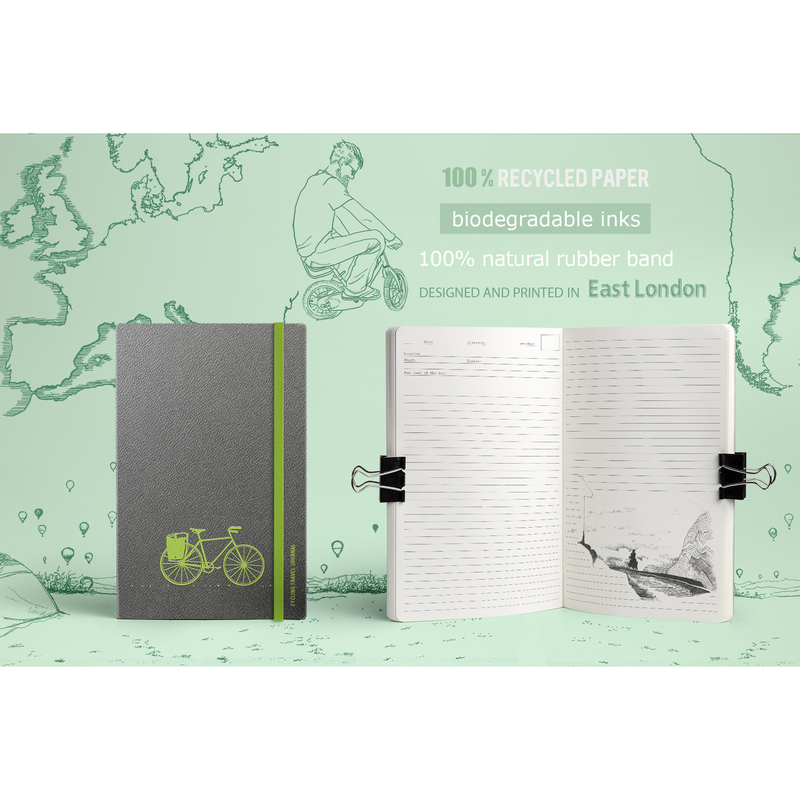 An eco-friendly cycling travel journal created by a cycle tourer, for other like-minded souls to use to tell their own story. The design and organisation of the journal is based on her own experiences of struggling to capture the important details of life on the road. It is much more than just a travel journal it is also a sketchbook, space to store your mementos and a place to plan the details of your trip. - Touring tips inspired by lessons we have both learned!